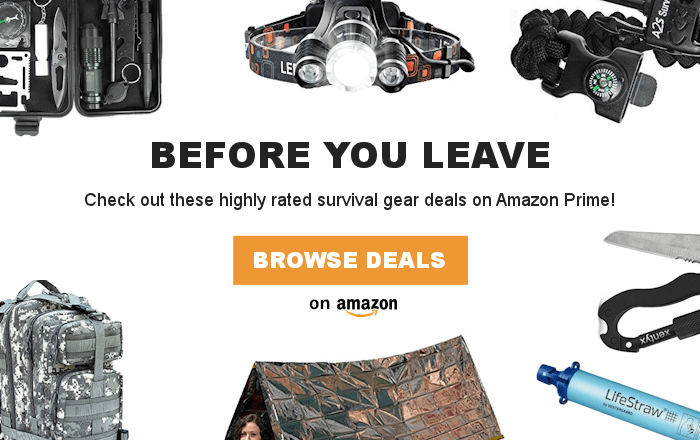 Includes Manual and a Warranty included after product registration. Composting with worms allows you to turn kitchen scraps, paper waste and cardboard into nutrient-rich soil for your plants. 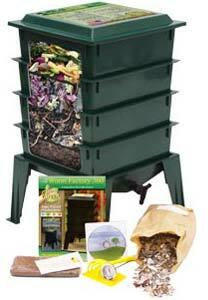 The Worm Factory 360 composting system makes the entire process quick and easy. With a thermo siphon air flow design, the Worm Factory 360 increases the composting speed. Now you can produce compost much faster than traditional composting methods. 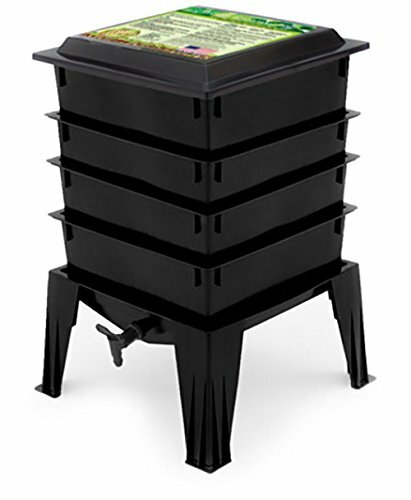 This version of the Worm Factory 360 comes in black, and it’s also available in green and terracotta. Americans throw away 34 million tons of food waste into landfills each year, more than any other type of waste (EPA.gov). 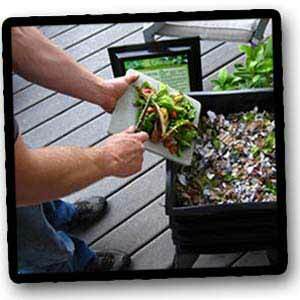 While traditional backyard composting has its place, the process can take up to two years and rotating it can become a chore. Worm composting uses worms to do the work of breaking down waste and is more efficient and easier to manage than a traditional backyard compost pile. In addition, its compact design makes it perfect for use in any household. Worm composting makes it easy to recycle kitchen scraps, paper waste and cardboard into nutrient-rich fertilizer for your plants, creating a more sustainable lifestyle by recycling and improving soil quality. The Worm Factory 360 houses thousands of composting worms in a compact space. These worms work 24/7 to efficiently produce highly beneficial, rich compost packed with microbes and water-soluble plant nutrients. Adding household waste to the Worm Factory 360 is easy; just open the lid and toss the food in. Fruits, vegetables, grains, paper, eggshells, leaves, coffee grounds and more can be added. Three foods to avoid are diary, meat, and citrus items; these can be harmful to the worms and are difficult to compost. Feed your worms about 50 percent food scraps and 50 percent fiber and paper. 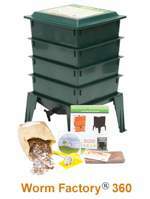 This creates the optimal environment for worms and finished compost. The goal is to recycle what you usually throw away. Don’t worry about feeding your worms every day. Some people feed them a handful a week; some people feed them a handful a day. The general rule of thumb is worms can eat about half their weight in food per day. This means that if you start with 1 pound of worms, they can eat a half pound of food per day. Worms can survive up to two weeks without any additional food. Just feed them a bit extra before going on long vacations. 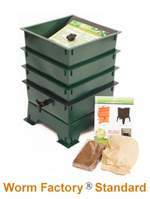 In a healthy environment, composting worms will maintain their population without over or under populating. 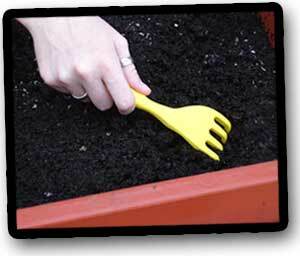 The nutrient-rich finished compost can be used in your garden, raised beds, container gardens, or on houseplants. 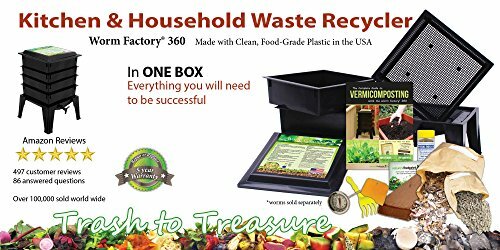 Even if you’re not a gardener, the Worm Factory 360 helps you reduce your impact and provides an alternative to throwing your waste into the landfill. Worm compost not only adds vital nutrients to your soil, it also conditions the soil to hold water longer, prevent plant disease, and promote healthy root growth. Expandable Multi-Tray design gives the largest volume from the smallest footprint. Temperature is maintained indoors or out. 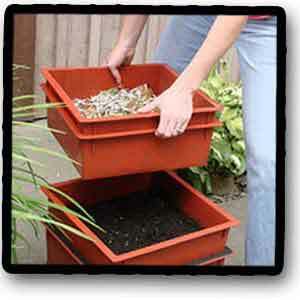 Ideal For Households of 1-4 people, additional trays can expand the worm factory to handle larger households. Made in the USA with high-quality recycled materials and includes a 10-year warranty. 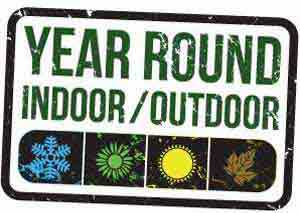 Year Round production of compost when optimal temperature is maintained indoors or out. Base with Spigot. 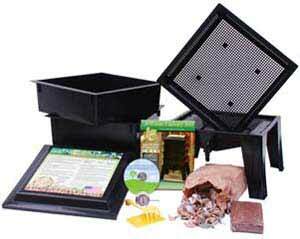 Built-in “worm tea” collector tray and spigot for easy draining.